The 3-phase CEV 026S Lainox super compact combination oven is a highly advanced and efficient addition to the modern kitchen with limited space. Ideally positioned either on a countertop or shelf, the Lainox combi oven provides all the functionality and performance of a larger combi within a small footprint. 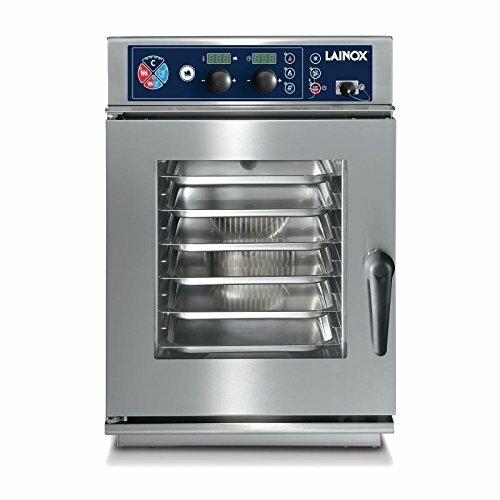 Designed to be 2/3rd gastronorm compatible, the Lainox has 6 pan positions to allow a wide variety of foods. The 95 pre-loaded programmes ensure a vast variety of cooking options, whilst the fast-dry system helps to obtain fantastic results, including perfectly crisp, browned food.